Angel is generally cast into the role of “timid cat,” but when I first picked her up from her foster home, we spent a couple of nights at my mom’s house in Davis, CA. And those first few days, my little one-eyed Angel was anything but timid. 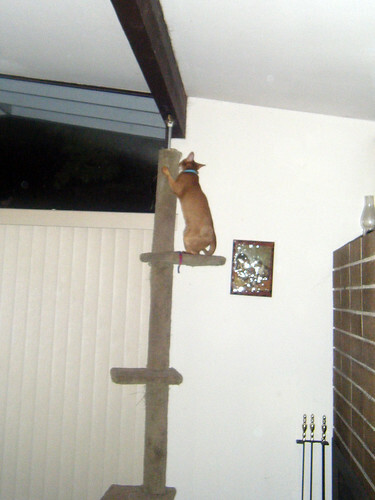 My mom has a floor-to-ceiling cat tree, which Angel climbed unhesitantly. And she didn’t start there, either. 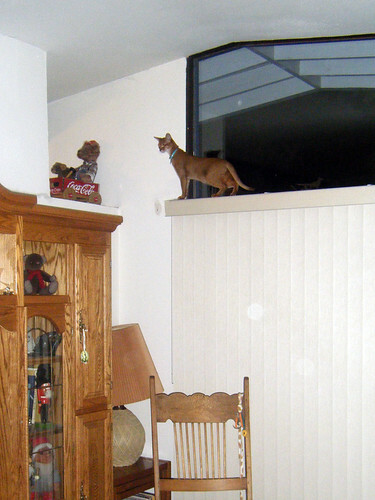 She continued on to walk the windowsill of the very high ceiling windows my mom has. 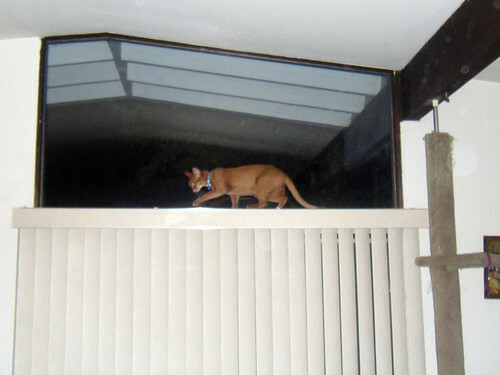 She didn’t jump the small gap from the windowsill to the passthrough to the kitchen this time…but she did the next morning. Pretty impressive for a cat with impaired depth perception! A collection of Angel’s Pet’s Eye View Camera photos. I was very impressed with these; they confirm my belief that Angel sees things differently from other cats. Jake’s ears and Angel’s own whiskers.